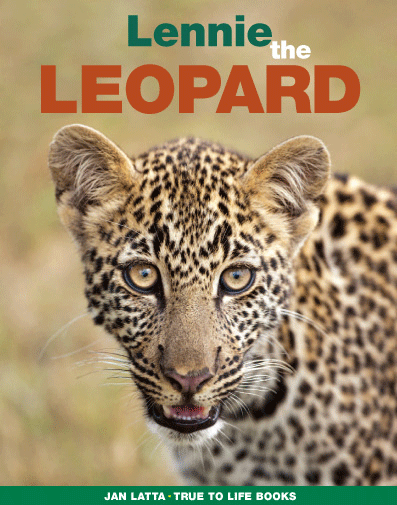 This was the most difficult book to create because I couldn’t find a leopard to photograph in the wild. I searched for leopards in Africa for 15 years and after ten trips I only had a few photographs. In 2011, I decided to join Jonathan Scott from the Big Cat Diary TV series at Rekero Camp in the Maasi Mara, in Africa. I usually travel alone, but this was a great opportunity to have Jonathan as a guide to search for leopards. In 2012 I heard about leopards in Yala Park in Sri Lanka so I travelled to meet Noel Rodrigo of Leopard Safari. Yala Park has the highest concentration of leopards in the world. I lived in a tent by the river and it was a great experience. Each day I searched for leopards with Noel. He was a great guide because he knew their hunting territories and habits. What a thrill to see leopards in the wild. After many years of searching for the elusive leopard I have the photographs to tell their story. The concept for the book is the leopard talking to children about its life in the wild and how it can survive. There are maps, interesting facts and fun activities. See this video of leopards in the wild.